Maharishi Markandeshwar University, also known as MMU, Mullana is one of the Premier University in North India and over the year is evolving into a symbol of quality education in all the fields such as technical, medical and other professional streams. MMU has also been accredited by National Assessment and Accreditation Council (NAAC) as Grade “A” university. The Maharishi Markandeshwar University is dedicated to excelling in research, innovation in inter-disciplinary projects and overall skill development of the student. According to the dean, “Our Industry oriented curriculum helps us to make the students leaders in the professional world.” also runs Medical college under MMU, Mullana Medical college. MMU boasts of its 180 acres campus, which has all the basic amenities and modern technologies any institution can provide. It has 14 Hostels, 6 Residential blocks, Playgrounds for Cricket, Football, and Basketball. The entire campus area is Wi-Fi enabled. The institution is also concerned about student’s sport and extra-curricular activity and has 7 gyms, 1 swimming pool, and 8 game areas. Classrooms are equipped with all the modem technology, which is viable for the smooth learning process. MMU also boasts of its state-of-the-art laboratories and Auditorium. For daily basic amenities, there is a post office, hospital, ATM, and two shopping centres as well. MMU is known for achieving nearly 100% placement records in the last years through qualified teachings and well-organised industry oriented curriculum. The application form is available on the website and the link for the same is present in this article as well, the student can apply now. Candidates applying for admission in MMU will have to appear in JEE Main 2017. 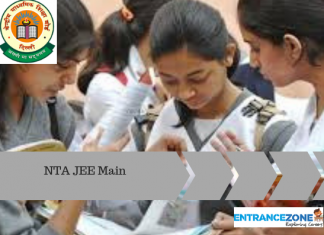 Application form for the entrance exam will be available on JEE Main’s official Website. Students can fill the Application form online, or can also download the form. The student should do the payment via online or offline mode (Demand Draft). Once the application deadline is over, MMU will release a merit list that will on the basis of academic merit and JEE Main score. After the selection, the candidates will have to visit the University for counselling procedure. Candidate should present with all the mandatory documents. The student should verify all the relevant documents properly. After all the formalities the candidate will get admission to the University. 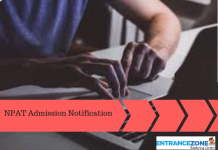 Candidates who wish to opt-out from the admission process can do so before the session commences. Maharishi Markandeshwar University thrives to prepare its students with a well-organized, integrated and technology-oriented learning process for a better future and to be a worthy citizen of global society. MMU emphasize research in multi-disciplinary projects and aims at providing all the technologies and resources to materialise the innovative ideas of students and faculty. MMU’s mission is to develop students into the best professionals working for the economic development of the country. It aims at becoming one of the premier technological university in India, and help students carry forward the legacy of the country, along with modern technological enhancement. Students at MMU’s manage various clubs and societies such as literary society, Technological clubs, Robotics clubs, etc. Various provisions have been made in order to ensure smooth and overall development of the student’s personality. Various sports activities and festivals are conducted frequently to test the interested students in fitness. Dedicated playgrounds for Cricket, Football, etc. are provided. There is a total of 7 gyms and a swimming pool dedicated to students. Maharishi Markandeshwar University also conducts annual festivals to display their cultural events, literary excellence, etc. Once the application deadline is over, MMU will release a merit list that will on the basis of academic merit and JEE Main score. After the selection the candidates will have to visit the University for counselling procedure. Candidate should present with all the mandatory documents. Once the application deadline is over, MMU will release a merit list that will on the basis of academic merit and JEE Main score. After the selection the candidates will have to visit the University for counseling procedure. Candidate should present with all the mandatory documents. Candidate should have qualified 10+2 or equivalent from a recognized board with one of the subjects as English and should obtain at least 60% aggregate marks in Physics and Mathematics and one subject of Chemistry/ Biology/ Biotechnology/Computer Science taken together. (40% aggregate in the case of reserved category. 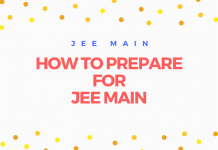 Admission to 75% of the seats will be on the basis of JEE Main 2017 score. 25% of the seats are under management quota and 15% seats are for NRI’s. For admission in M.Tech, candidates should have at least 50% aggregate in B.Tech/ B.E in the relevant subject. Admission will be on the basis of GATE score, or academic merit. Admission in PhD Courses will be on the basis of Entrance Test, then an interview round, and student’s academic profile also. MMU is accredited a Grade ‘A’ by National Assessment and Accreditation Council. It is accredited as the premier institute by ASIC. And also empanelled with ICCR and has recognition by DSIR, Medical Board of California. The university has the approval by University Grants Commission, AICTE and is a member of International Association of Universities. It is one of the 25 best engineering schools in India according to Digital Learning 2016. Pioneer survey gave MMU a rating of 4 stars. Higher Education Magazine ranked them amongst the top 10 universities for placement. It has been ranked one of the top three engineering colleges in the State. MMU is one of the top 33 universities in Hall of fame, published by India Today. Maharishi Markandeshwar University offers various Undergraduate and Postgraduate courses in the field of Engineering, Medical, and Management. 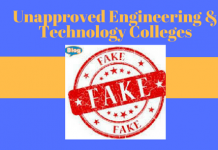 Candidates can see the details regarding courses in Engineering below. Mechanical Engineering with Specialisation in Automobile Engineering. MMU always support promoting faculties and groups towards research. Maharishi Markandeshwar University shows regular collaborations with various international universities. MMU is very much illustrious for providing state-of-the-art infrastructure and facility to all the researchers. It has a dedicated unit for the research area. It has over 7000 publications in various fields, 200+ projects, and various copyrights. Some of the notable projects are undertaken in the fields of electronics, meteorology, and nuclear structure. It gets funding from various national and international agencies such as International Atomic Energy Agency, Vienna.